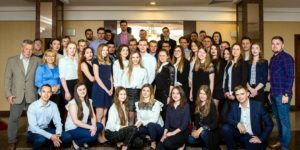 Under the Polish-American Internship Initiative, fourteen students from Poland will go to the United States this summer for paid internships in American companies. 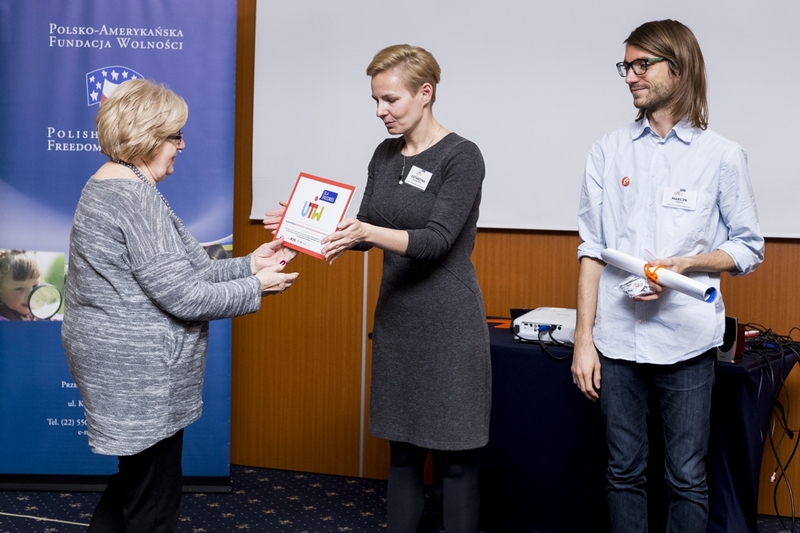 The fourth round of this initiative was inaugurated in the PAFF’s Representative Office in Poland. 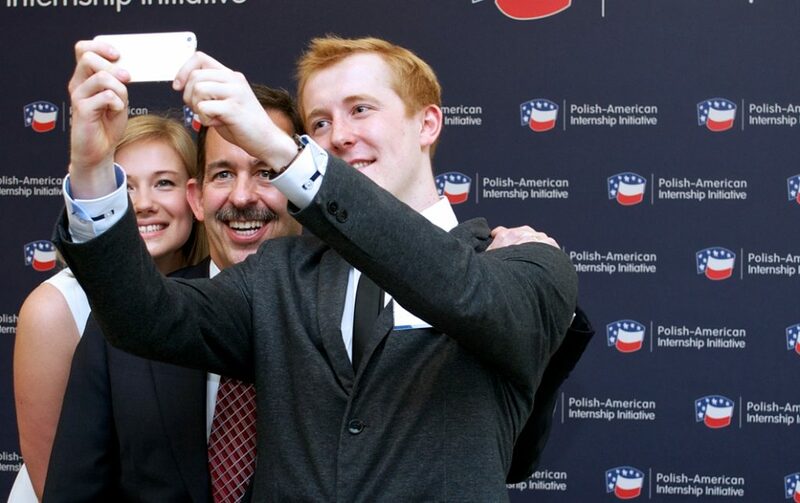 The Polish-American Internship Initiative is a joint undertaking of the Polish-American Freedom Foundation and the US Embassy in Poland. 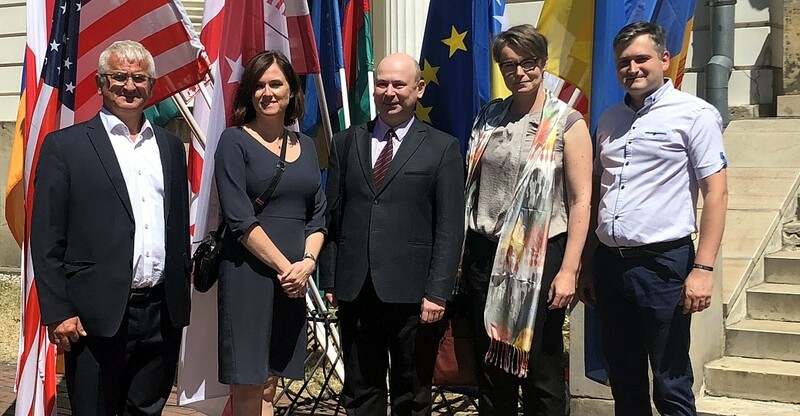 The participants in the meeting at the PAFF Representative Office in Poland met with US Ambassador to Poland Stephen Mull and PAFF President Jerzy Koźmiński. 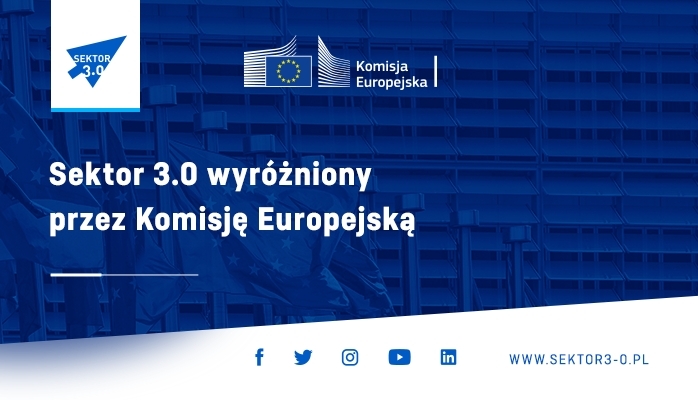 The meeting was also attended by: Olgierd Dziekoński, Secretary of State at the Chancellery of the President of Poland; Ilona Antoniszyn-Klik, Under-Secretary of State at the Ministry of Economy; Professor Jacek Guliński, Under-Secretary of State at the Ministry of Science and Higher Education, Grzegorz Kozłowski, Director of the Department of Americas at the Ministry of Foreign Affairs and Paweł Pietrasieński, Minister-Counsellor managing the Trade and Investment Section at the Embassy of Poland in Washington. 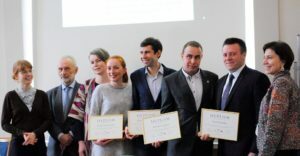 Also present was Professor Jerzy Dietl, President of the Educational Enterprise Foundation, the institution which manages the Polish-American Internship Initiative. Among the guests were also representatives of American companies offering internships and other PAFF’s friends and partners. 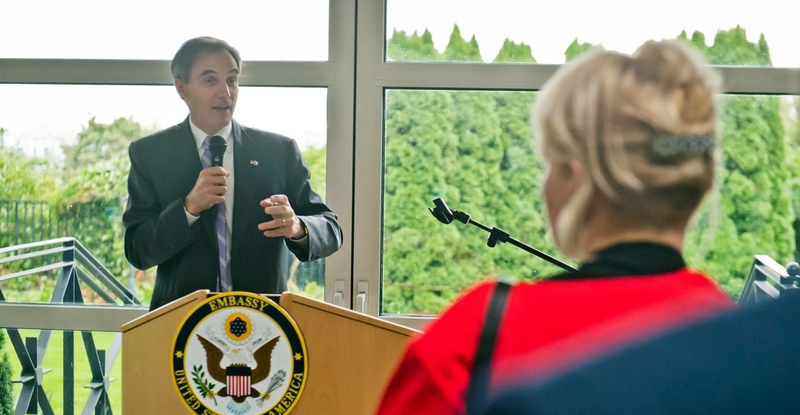 “Inaugurating today the fourth round of the Polish-American Internship Initiative I would like to point to the fact that this initiative is part of the whole range of good events which have taken place in the Polish-American relations since 1989. 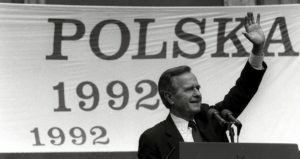 It’s worth recalling that 25 years of independent and democratic Poland means also 25 years since the United States got deeply involved in activities supporting Polish political transformation and secure anchoring of Poland in the international order that was being shaped anew at that time,” said Jerzy Koźmiński, who was the host of the meeting. 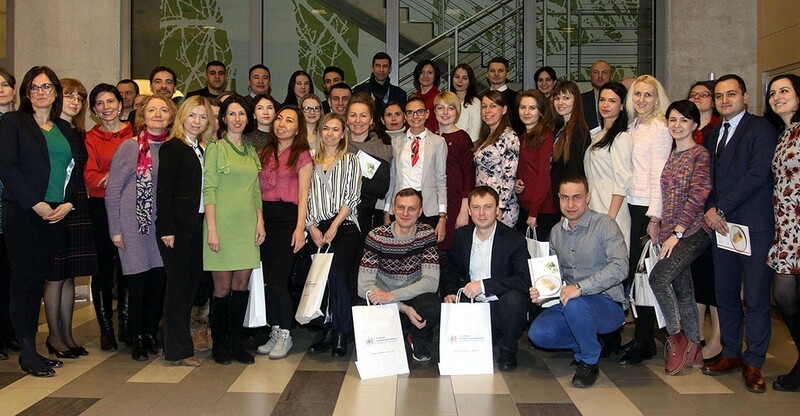 In his address he pointed also to the fact that apart from excellent academic performance and good knowledge of English, the interns have also outstanding achievements in social activities. 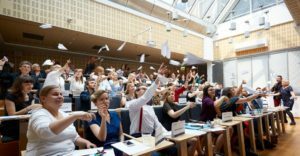 “You will have an opportunity to work in dynamic American corporations which operate in many countries all over the world. We hope that you will share your new ideas, strong motivation and creativity with your future friends. 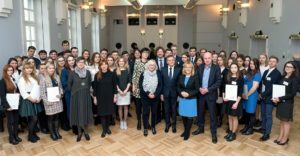 We also hope that the program participants and their peers will accelerate the development of the Polish economy,” US Ambassador Stephen Mull told the future interns, emphasizing that the initiative is an important element of the Polish-American cooperation. Addressing the interns, Professor Jerzy Dietl referred to 25th anniversary of free parliamentary elections in Poland, that is celebrated in June, and encouraged young people to make wise use of freedom and to remember about the basis of freedom – the tolerance for other people and their views. 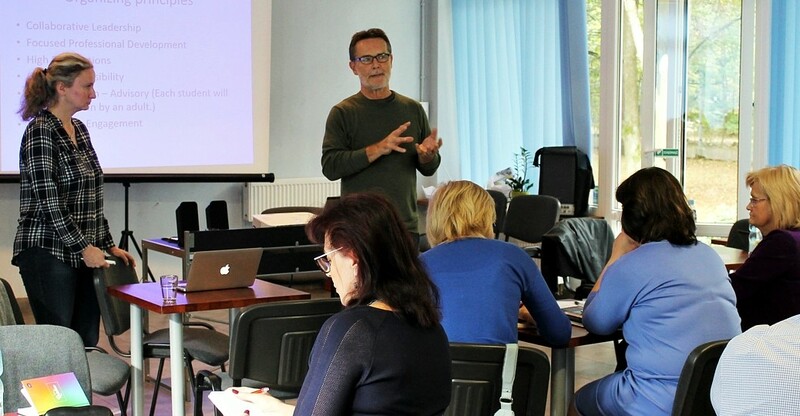 The offer of internships in the USA is addressed mainly to participants of two programs implemented by the Polish-American Freedom Foundation: to the scholarship holders of the Bridge Scholarships Program and the students volunteers of the “PROJECTOR – Student Volunteers” Program. 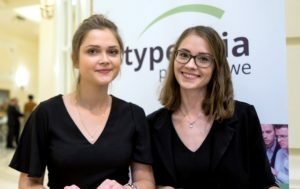 Eligible to apply for internships are students of at least second year of full-time studies at Polish universities, fluent in English, performing very well at the University and socially active. Participants of internships, which last from 2 to 3 months, are remunerated for their work. 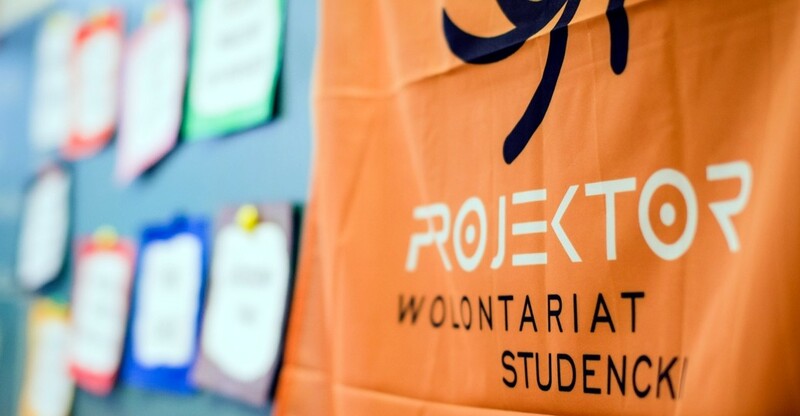 The organizers cover the costs of travel and help students to obtain visas. 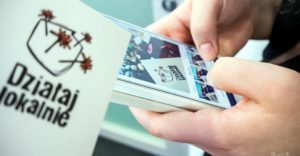 In 2011-2013, fifty nine students worked as interns at the following companies: Chevron North America, Citi, General Electric Hitachi, Pittsburgh Glass Works LLC, Raytheon BBN Technologies, Sikorsky Aircraft Corporation and Westinghouse Electric Company. This year, fourteen interns will get work placements at: the Boeing Company, Chevron, Citi, Pittsburgh Glass Works and Westinghouse. 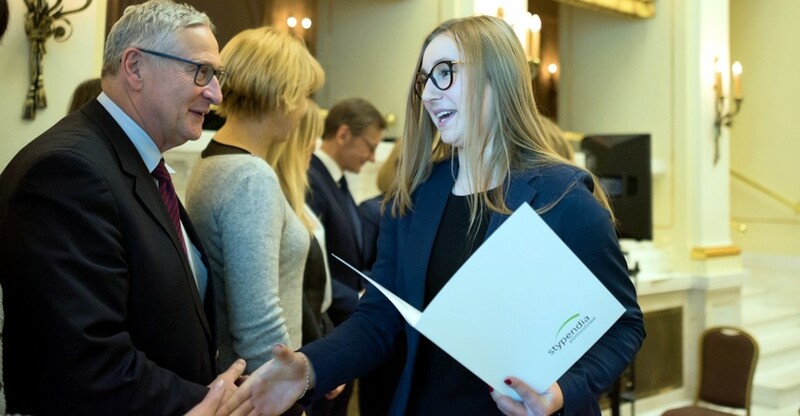 The initiative is managed by the Educational Enterprise Foundation in cooperation with the companies offering summer internships as well as Polish universities.